Tumblr’s mobile app is one that, in my view, has improved many of the problems I initially had with it. Even though graphics and .gifs still seem to load slower than they should, the fact that the Tumblr app has become a cleaner experience has more than earned my praise. It seems like the biggest improvements have yet to come, though. This is especially true if you are someone who takes pride in the growing market that is known as ecommerce. 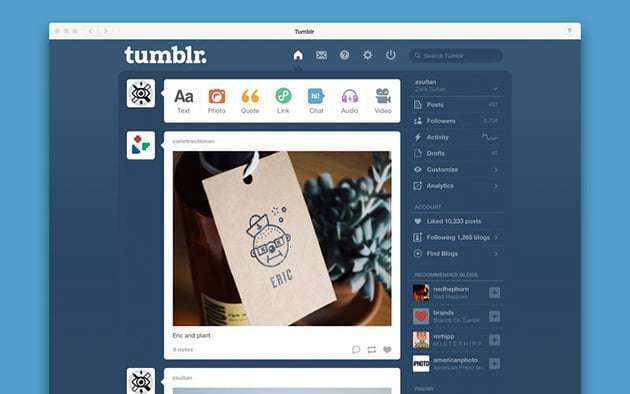 According to PC Magazine, Tumblr app mobile is set to receive a few new buttons. Listed as, “Buy,” “Pledge,” and “Get Involved,” these buttons are designed for various ecommerce purposes. There are two catches to consider, though. First, this is limited to the mobile app for now, meaning that these buttons will not show up on the website via laptop, desktop, or what have you. Second, it seems that only particular sites work with the app. The article mentioned Kickstarter and Etsy as its two more prominent names. As any online marketing firm can tell you, it’s not like making purchases from apps is anything new. When I received my first smartphone a couple of years ago, I found myself immediately drawn to the app for Newegg, which is a technology website which features everything from video games to computer parts. I found it easy to find what I needed on the site and the ability to pay was streamlined enough as well. This is the root of ecommerce: to make the experience as hassle-free as possible. Tumblr has the chance to emulate this. From what I have seen of the article, this ecommerce push on the part of Tumblr has all of the potential in the world to become bigger. After all, it’s not like the site’s audience is limited, as close to 230 million blogs – as of this writing – are featured on the website. Each of these users are diverse, in terms of their interest, meaning that one website may not get as much use from them as another might. Wouldn’t it make sense for other companies to be incorporated? If I were heading this project, I would make it a point to scout for bigger names to incorporate into this Tumblr ecommerce push. When I first heard about the aforementioned buttons, my thoughts immediately went to Amazon and eBay, which are often seen as the two most popular online marketplaces. I could see a user sharing a merchandise page on Amazon’s website, only for a “Buy” button to appear beside it. Depending on the price of the item in question, as well as its overall value, I’d have to imagine that this could increase the number of impulse buys made on that very piece of merchandise. What is your take on these new buttons added to the Tumblr mobile app? Please leave any thoughts down below!